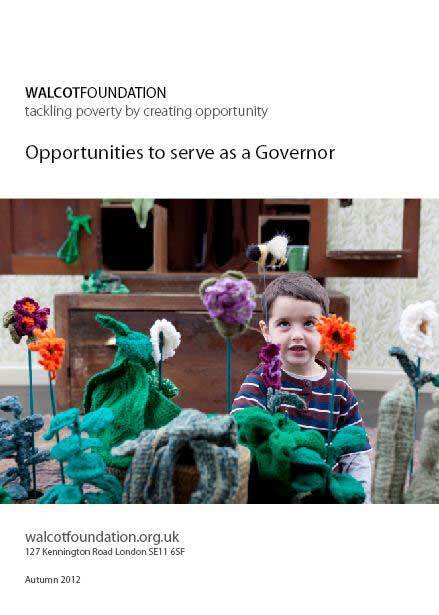 In July 2012 our Board of Governors decided to recruit and appoint additional Governors. Discussions about succession had been taking place over several years, but without a consensus on how to approach it. Previous appointments had tended to follow the common model of existing trustees suggesting people they knew. The Board decided to adopt a more open process - described below. We repeated this model in 2014 and again in 2016. Our experience has been wholly positive. Although time consuming we have, on each occasion, met a wide variety of skilled, fascinating people we would not have otherwise encountered. As a result we have been able to make some excellent appointments. You will find below an outline of the approach we adopted, and to the right the materials we used. We are sharing our experience in the hope that doing so may be of use to similar organisations. On each occasion we advertised widely, arranged a number of evening information events, short-listed and interviewed and appointed. We advertised the process placing advertisements in London papers (mainly using The London Evening Standard and Metro, and on an early occasion the South London Press). Additionally we spread news using our subscriber list, Twitter and other networks including social media. We also used the NCVO Trustee Bank. We produced printed material We invited those who wished to know more to request our recruitment booklet via our website. If after reading this they remained interested they were asked to book into an Information Event. We used Eventbrite to handle these. Information Events were held at the Foundation's offices. Each evening was hosted by a Governor and included contributions from the Director, Finance Manager, Grants Manager and other Governors. Having adopted this process on three occasions so far we found that c150 people responded to the recruitment advertisements and were sent printed material, between 50 and 70 then registered for the information events and that around 30 then went on to make formal applications. Formal applications We asked those who remained interested to say why the role and the Foundation appealed to them and what they hoped to contribute. This and their CV was used by a Panel of Governors to short list those to be interviewed. The choice was partly shaped by the skills the Board on that occasion had decided were especially sought. The Panel then made its recommendations to the Board. Those appointed then participated in an induction programme. We were overwhelmed by the scale and the quality of the interest shown and are very grateful indeed to everyone involved. Overall, over the three cycles we have run, we found more appointable candidates than we had vacancies. We were sorry to disappoint applicants, but very heartened that such skilled and generous people exist. "I really enjoyed your information evening, which I was not expecting. I particularly enjoyed the sense of humour, proportion and passion to make a difference that positively glowed from you all..."